In-vehicle technologies have significantly evolved in recent years. There are now many advances designed to reduce the risk of human error resulting in motor vehicle collisions. There are also myriad in-vehicle safety devices intended to reduce the severity of injuries motorists suffer when a collision occurs. A personal injury lawyer knows sometimes, those technologies fail. The National Highway Traffic Safety Administration is the federal agency responsible for overseeing safety and setting rules for new technologies. The agency is also supposed to take swift action if something goes wrong, conducting investigations and making information available to the public so they can act to protect themselves. Unfortunately, as Auto News reports, there are serious concerns about whether the NTHSA is indeed effective in this important role. The House Energy and Commerce Committee is a bipartisan committee made up of both Democrats and Republicans. Committee leaders have sent a letter requesting that the Government Accountability Office (GAO) launch an investigation into the efficacy of the NHTSA. In a letter from the Committee, leaders stated: "As vehicle functions and safety systems become more complex, these findings raise concerns about NHTSA's process of obtaining data and investigating vehicle defects." These concerns are valid, especially when considering how the NTHSA has handled two high-profile recalls that have made recent headlines. 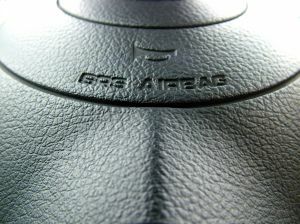 One important recall was the recall of General Motors vehicles with defective ignition switches. The problem could result in a vehicle suddenly and unexpectedly shutting off, leaving a driver in the middle of the road with a disabled vehicle. Airbags and other safety devices reportedly do not work properly in these instances. The NHTSA may have been aware of problems with the GM ignition switches dating back to 2007. However, neither the agency nor GM acted until this year, and the delay in recalling the vehicles may have resulted in more accidents, injuries and fatalities than would have occurred if swift action had been taken. Another major recall was conducted this year as a result of Takata airbag problems. Takata airbags are installed in vehicles made by 10 different auto manufacturers. Unfortunately, the airbags can explode and strike those inside of the car with shrapnel. This, of course, is very dangerous and four deaths and dozens of injuries have happened as a result of the airbag problems. 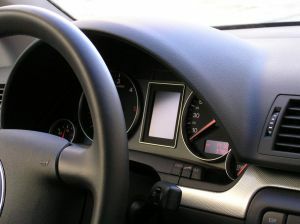 Reports indicate NHTSA regulators initially provided misinformation about the vehicles that were affected by the airbag problem. The tool on the NHTSA website letting people look up whether their car had a problem or not also did not work effectively. This puts the American public at serious risk of possible injury - or worse. The NHTSA is not keeping up with its role in overseeing recalls, gathering information and regulating vehicle technologies. The agency owes it to the American people to do better. Government leaders have called on the federal Government Accountability Office to launch an investigation and report back to policy makers with possible suggestions for improvement. Approximately every 16 minutes a tractor trailer accident occurs in the United States. What may seem unusual is when and where most of these accidents take place. The majority of these accidents happen on weekdays, 66 percent of them happen during daylight hours and 68 percent occur in rural areas. Passenger cars and smaller vehicles are the most vulnerable in these types of crashes. Ninety-eight percent of the time those killed are in the smaller vehicles rather than the truck driver. Tractor-trailers, also known as semi trucks, 18 wheelers or "big rigs," are an important part of our economy. The purpose of tractor-trailer trucks is to carry goods and materials from one place to another. There are two main components of a tractor trailer - the engine and the trailer. The engine will tow the trailer on which the cargo or freight is carried. Even without passengers and cargo, the truck itself weighs more than 10,000 pounds. Depending on the kinds of goods being carried, the truck can weigh anywhere from 80,000 to 100,000 pounds. Accidents involving these mammoth machines often have tragic results. Many rules and regulations have been designed for truck drivers and trucking companies to keep people safe while on the road. Though in place, these safety rules set out by the Federal Motor Carrier Safety Administration (FMCSA) are sometimes neglected. This leaves the door open for an increase in accidents and fatalities. 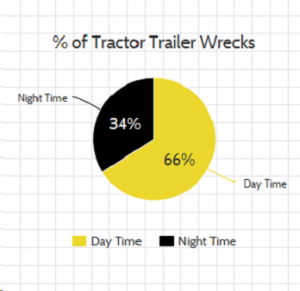 Unsafe driving, exceeding speed limits, driver fatigue (driving too many hours without a break) and other negligent acts raise the risk of tractor-trailer accidents. It is against the law for any truck driver to be on the road for more than 11 hours. Avoid areas of limited visibility to the driver of the truck. These areas include the "No Zones" - the areas behind and beside the tractor trailer. Refrain from unsafe passing of a tractor trailer. Do not merge inappropriately or execute quick lane changes in busy conditions. Tractor-trailer accidents are in a separate category from other types of vehicle accidents because of the number of injuries and fatalities involved. Because sometimes many parties are involved, there can also be several different insurance companies handling the claims. If you or a loved one is involved in an accident with a tractor trailer, the best advice is to immediately consult with an attorney. 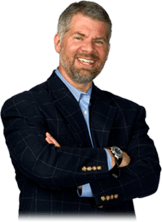 https://www.garymartinhays.com to schedule a free consultation.